Endodontics, more commonly referred to as root canal therapy, involves the removal of dead or infected tissue of the internal tooth structure. Once cleaned, the tooth is sealed. Root canal therapy inhibits the loss of the tooth due to the infection. Our Simi Valley dentist used advanced technology and techniques to repair the tooth quickly and effectively, minimizing any future infections. When your tooth has an infection, the bacteria can spread to other areas of your mouth and infect other teeth. Tooth loss can occur if left untreated long enough. 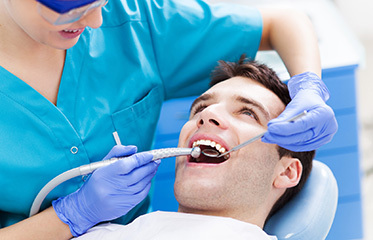 Our dentist in Simi Valley will use root canal therapy to save your tooth. Most root canals can be completed in a single visit to our Simi Valley dentist office but some may require additional visits. Call us to schedule an appointment if you are in need of a root canal or to find out more information about root canal therapy.